Hardly a week goes by in which I don’t see a huge car transporter making its way to Southampton docks from my constituency in the Midlands - the embodiment of our export-led recovery. Did you know that a white Range Rover is the chauffeured car of choice in emerging markets retaining at £200,00 a pop? The luxury brands are selling well, but so too are British-made mass volume cars and for the first time in a long time we are a net exporter of cars. These market opportunities could be greater still if a bi-lateral trade agreement could be struck between the US and the EU - as envisaged by David Cameron, who announced formal negotiations to reach one yesterday. The motor manufacturers on both sides of the Atlantic can see huge advantages in mutual recognition of each other’s regulations, since this would save costly adaptation of models without compromising safety. A US-EU trade deal would account for over 50 per cent of global trade, and the significance of this is that we can then call the shots on standards. This is incredibly important at a time when emerging markets are growing in significance because we need the global standards to be ours. The likelihood is that manufacturers like those in Japan would want to join our standards, and that is the way a global standard is born. That would give our industry a huge advantage, and enshrine the high standards we expect to protect motorists, their passengers and other road users. It would have been a triumph of global diplomacy if a global trade agreement had been achieved under the Doha round, but this proved just too big a mountain to climb in these difficult times. So bi-lateral trade deals are second bes -, but one between the world’s two biggest trading blocks would be a very good second. It is estimated that an EU-U. trade agreement could be worth £19bn to the UK economy. The attraction to the US of accessing the EU’s 500m consumers on preferential terms is mirrored by the attraction to EU exporters of an American market of 316m consumers buoyed up by cheaper energy than ours. The political leaders see the opportunity, but Barack Obama has made it clear this deal needs to be done in timely fashion, and not drag on as Doha did. 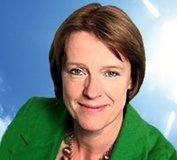 Caroline Spelman is Secretary of State for the Environment, Food and Rural Affairs. Since the publication of the groundbreaking National Ecosystems Assessment last week, we now know how to properly value the things that nature give us for free, and how to incorporate them into our decision making. On that basis, the Natural Environment White Paper, The Natural Choice, which I have launched this week, represents a unique opportunity for my generation to pass the environment on to the next in a far better state than we inherited it. We want to move from a net loss of nature to a net gain. I am delighted to announce a competition to identify 12 Nature Improvement Areas, putting £7.5 million in to the initial phase. These areas will span across ecosystems – from the managed landscape to urban areas, to national parks – creating wildlife corridors and stepping stones to allow species space to flourish and move. We are also supporting the development of Local Nature Partnerships. They will bring together all the interested parties in a local area to deliver environmental goals. They will ideally have strong links with Local Enterprise Partnerships to better inform decision making. Alongside this we will pilot the concept of biodiversity offsetting in the planning system, making development greener and meeting public aspiration to access green space. A new Green Areas Designation will allow local people to protect the green spaces in their local areas as part of their neighbourhood plans. Caroline Spelman is Shadow Secretary of State for Communities and Local Government. Has anyone got a sense of déjà-vu about the current grit shortages and widespread disruption to the road network? The reason for that, is that this is exactly where we were in February last year. So how can we have got to this position all over again? Some would like to point the finger of blame squarely at councils, but the fact is that after February 2009 a report was produced for the Government setting out how better contingency plans could be put in place. That report hit Whitehall desks at the beginning of August, but the real problem is that's precisely where it stayed for five months. The recommendations in that report were not translated into guidance, and even then only partial guidance, until December 15th – just as forecasters were warning of heavy snow and only 48 hours before the first snowfall. That delay lost our country a vital window of opportunity over the summer to get maximum contingency plans in place, and will have been a significant factor in leaving us with the current chaos that we have with our road networks. One of the recommendations was the up-rating of grit reserves to cover six days of snowfall, but given this was formally issued as guidance only two days before the snow arrived, common sense tells you that is barely enough time to give councils to stockpile those sort of reserves. It is also worth noting that it showed even current government thinking to be outdated since at the point that six days of grit reserves were ordered, ten days of extreme weather were forecast. The phrase “burying bad news” is synonymous with Labour’s approach to news management and that was exemplified this morning by the decision of Labour Ministers to slip out the local government settlement in the form of a written statement rather than an oral statement on the floor of the House. I am furious about this. Far from being an arcane procedural point, it is hugely significant because it denies MPs the right to question Ministers about how much taxpayers’ money is being granted to their constituents. Given the level of public interest in council tax a written statement simply doesn’t suffice. The damage of the Government’s decision to make it a written statement is twofold. Firstly, in terms of local of the settlement itself, it goes to the heart of how much council tax people are paying – and that is quite a hot topic! Since Labour came to power council tax has more than doubled and in many cases, all people have seen for it is a cut in frontline services like bin collections. As a consequence of today’s statement, the average Band D council tax bill will be close to £1,500 from April, taking bills to £120 a month. Pensioners in particular have suffered as a result of Labour’s repeated hikes in council tax, they have seen a third of the increase in the state pension snatched back in council tax rises. For Ministers to deny MPs the opportunity to raise council tax issues on the floor of the House is a disgrace to our democracy. I suspect Labour are running scared as the level of anger about council tax is acute, and despite our requests Ministers have refused to follow our lead and pledge to offer a council tax freeze across England, as presently happens in Scotland. But, secondly, this issue is bigger than the subject of council tax. Parliament desperately needs to rebuild its reputation after the past year and restore people’s confidence. Decisions like this to avoid Parliamentary scrutiny will do exactly the opposite. People would rightly expect their local MP to be able to challenge Ministers of the local finance settlement, but by ruling it out Labour will only have stoked up cynicism about our political system. For those reasons I have just raised a Point of Order on the matter in the House of Commons today and I will now be submitting written parliamentary questions to elicit the information Members are entitled to. Few could forget the images of the Green Goddesses rolling into service during the national fire strikes of 2002 and 2003, manned by the Armed Forces. This week the threat of fire strikes hang over us again as a result of local industrial disputes spanning London, South Yorkshire, Humberside, Merseyside and Essex. The prospect of being without our firefighters is very worrying indeed, but all the more so because of the reckless way in which the Government has left us without and emergency fire cover for this critical period – despite knowing for some time the threat of industrial action was looming. The Green Goddesses have been sold off and government policy now excludes the possibility of the military stepping in to cover during fire strikes. The decision by Ministers to rule out military cover is the inevitable consequence of the chronic over-stretch our troops have to endure in Iraq and Afghanistan. Yet despite this decision – taken by Ministers at a national level – there has been no provision made for vital cover during a strike. The Government has simply pulled the rug out from under local authorities. Answers to written parliamentary questions also reveal that there is no training taking place in the armed forces to provide contingency cover. If the fire strikes take place as predicted, our country will be arguably the least prepared it has ever been and the responsibility for that lies firmly with Ministers who have stuck their heads in the sand. Caroline Spelman MP is Chairman of the Conservative Party. In this article she responds to ConservativeHome's concerns at CCHQ's financial strategy. Undeniably that's always going to be painful for the people who are caught up in the process and it would be entirely wrong of anyone to suppose that the changes we are making at CCHQ are a personal reflection on any individual. In fact, it is the dedication, commitment and diligence of our staff that makes these changes so difficult, but the truth is that these changes have to be made. When David Cameron became leader, the party’s debt was £20 million. That debt has now been reduced to £8 million and the party is actually running responsible budget surpluses - £4.2 million in 2006 and £1.6 million in 2007. Party Chairman Caroline Spelman MP previews the Conservative Party's Spring Forum beginning in Gateshead today. To my mind Party conferences are there to serve two purposes, on one hand to showcase the Party to a wider audience, and on the other hand to give Party members the opportunity to engage directly with MPs, Councillors and the policy development process. Our Spring Forum this year will deliver both of these, with exciting announcements on how to help families and a strong emphasis on interaction from the voluntary Party. Last year’s autumn conference is a tough act to follow – the success we had at Blackpool was undoubtedly a major factor in Brown’s decision to cancel last year’s General Election. Conservatives gathering in the North East has become something of a novelty. This weekend will see the largest gathering of the Conservative Party in the North East since the 1980s. Our last conference in the region was in 1985. Tonight William Hague will host a dinner for over 500 guests, oversubscribed and with a healthy waiting list. There were lessons to be learnt from the loss of local government representation – and we have taken that into account. It is significant that our fight back in the North East has started with success at a local government level. So it is great we can celebrate this in Newcastle Gateshead. Supporters who come to Spring Forum and the Party Conference come away feeling invigorated and encouraged in their work for the Party, one once said to me it was like plugging into the mains. This weekend the focus of our Spring Forum is to show how, as part of our Responsibility Agenda, we will make Britain more family friendly, this follows the policy Green Papers that we have published on schools, welfare reform and security.